Hi, my name’s Sarah and I’m a recovering Martha. – Love Restores. Every time I read the story of Mary and Martha I feel sorry for Martha. Don’t get me wrong, the message of the story isn’t lost on me, I just know that I’m her over and over again. Trying to make a good thing happen, but often missing the point. 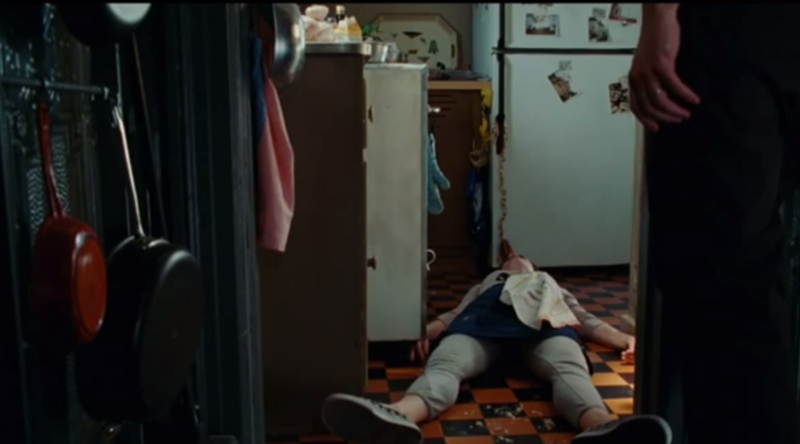 I picture her sitting in a chaotic kitchen, with cake batter all over her clothes, the oven timer going off, pots and pans spilling over and nothing working out as planned, while Mary can be heard laughing and chatting in the other room…I picture that scene from Julie and Julia when she has a melt down over the chicken. She’s cross with herself for not being better. She’s trying her hardest to make everything perfect… but she’s fighting a losing battle. Perhaps it’s not Martha I picture, perhaps it’s me. I feel sorry for Martha because I miss-read the story and think that she’s being chastised for getting on with what needs to be done; for being proactive and working hard when there is clearly a job to do. At first I want Jesus to give the poor girl a break and I join her frustration with the care-free Mary. Jesus is their guest for crying-out-loud! If ever there was a need for the perfect dinner party, this was it. What if there wasn’t enough food to eat? You’d be forever known as the person who starved Jesus. Who wants to be that person!? You’d be a complete failure, surely it’s reasonable to be worried and annoyed. I would be. It’s all on you. Jesus thinks she’s missed something. He was after her heart, not her productivity. The thing is, there’s a time and an order for everything. He’s not saying that it’s not right to work really hard, make a plan, rush around and “get the job done” – (phew) – it’s just there was something else that needed to happen first. Martha needed to learn to be. She was striving. There was a lot bubbling away underneath her diligent activity and Jesus knew that her busyness was coming from the wrong place. She had Jesus in her house and she still wasn’t able to take her eyes off her to-do list. She was distracted by her worrying and she couldn’t let go of the expectations she’d placed upon herself; she had a role to fulfil and she was determined to do it. And so Jesus tells her that “Mary has chosen what is better”. I picture the full-blown meltdown at this stage. Do you ever feel like everything’s got to go perfectly, else you’re a complete and utter failure? You could prepare an incredible feast for your friends, and then at the end you burn the custard and all of a sudden you’re completely incompetent and should have done better. I’ve known that one a time or two. Hi, my name’s Sarah and I’m also a recovering perfectionist. I am not good at everything. I cannot fix myself. Perfection is not my goal. My list of achievements don’t determine my value. I get things wrong time, and time again. And that’s ok. Mistakes are allowed. Imperfection is beautiful. Wow…this really is group therapy. Now that’s truth. We are, after all, human-beings, not human-doings. It’s more important for me to be whole, than to appear perfect. (That one may be an ongoing journey). You know it’s funny, I’m actually the worst version of myself when I think I’m on top of everything. The very worst. When I think I can do something perfectly—when I think I can fix the problems by myself—I stop needing you around. It’s awful. When I’ve got it all sorted, things like independence, pride and arrogance start to settle in and I forget that I was created to be in relationship and to co-labour with you. Being perfect at everything would be really bad news for me. It would rob me of the community my heart longs for, the community we were created for. Unfortunately, it’s not my natural inclination to want others to help me out, or admit that I can’t do something by myself. It’s a choice right now, but one that I hope will become a habit. I’ve grown up always fixing and achieving things. My brain has learnt some patterns of behaviour it needs to now unlearn. I choose to be honest with friends about my brokenness rather than pretending it isn’t there, because saying it out loud is good for me and hearing them tell me I’m still loved and ok is healing. I invite them into that place. I choose to be out of my depths in my work life—I’ve known little else— and I ride the continual learning curve (or trajectory as someone recently put it). I prefer me when I’ve reached the limits of my own strengths and abilities, I’m so much more humble that way, and it forces me reach out to others and not attempt to go things alone. There’s nothing more dangerous than a me who thinks I know everything. Trust me. When I feel like I’m swimming in the deep-end, it’s then that I’m most acutely aware of my need for Jesus and my need for you. It’s the place I desire to live in. When I look back, those have been my sweetest moments; when I’ve been vulnerable, weak and in need of others. They’ve also been the moments when I’ve grown the most and some amazing things have been birthed. I want to be busy. We’re part of a great story and there are roles to play and scenes to get on with. But I want to do busy well. I want to do activity from a place of rest and reassurance that my worth doesn’t depend on my achievements. And I want to do busy alongside you—not competing against you—but working with you. They say if you want to go fast, go alone. If you want to go far, go together. I don’t always get that one right, but today I choose to go far. Previous Post Fight with love. Next Post Legacy or Legend? Just beautiful, Sarah, as always. Thanks for sharing. The other week at church the pastor said “we all want to trust God, without ever needing to trust God”. I was reminded of that while reading this post. Thank you SO much for this. I read a stunning book that explores this “perfection infection” even further called “No More Perfect Moms” by Jill Savage (don’t be put off by the title if you’re not a mom yet – the principles applies in any context!) – really worth the read! When we are weak, then He is strong. I think you must have been in my prayer closet this morning, my hearts cry is to live in the joy of imperfection and just BE with Jesus, the one thing I find the hardest! Great read, thanks for putting it into words! Sarah – I just started on this same journey as well by sharing my stories at http://www.recoveringmartha.com. I love finding others who are working through similar struggles. Thank you for being bold enough to share your experiences!